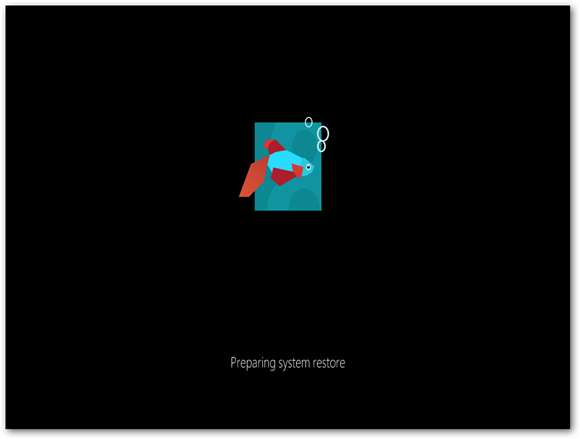 The new StartUp menu in Windows 8, also known as the boot menu, has been dramatically improved graphically. Microsoft has continued using the Metro UI in the StartUp menu and added in tiles and a similar layout to what you see in Windows 8. 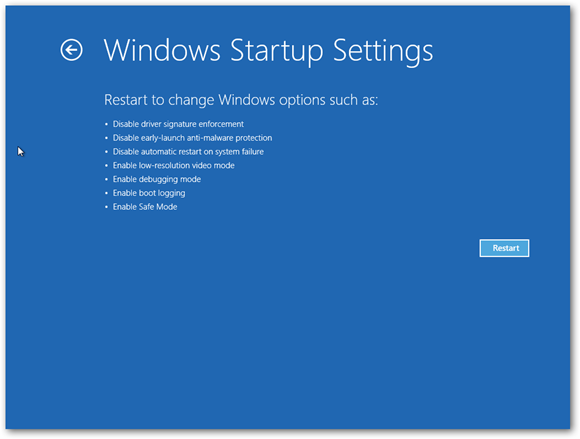 The StartUp menu is quite a powerful tool for troubleshooting and booting up your Windows 8 PC. In this post, we’re going to have a look at the various different options available to us. To enter the StartUp menu, you have to press F8 (can vary depending on your computer manufacturer) before your computer starts to load Windows 8, this is the same with all versions of Windows. 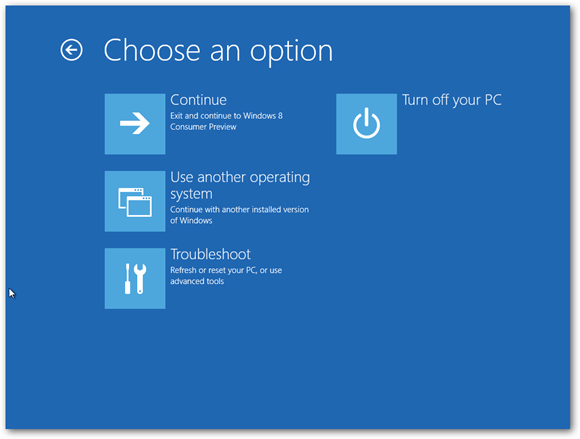 Alternatively, if you are currently dual booting Windows 8 with another OS you can enter it by following the steps below. Down the bottom, you will see “Change defaults or choose other options” Click on this. You will now have options to change how long the timer countdown lasts when you are presented with different operating systems to boot from. Alternatively, you can also change the default OS you wish to boot into. 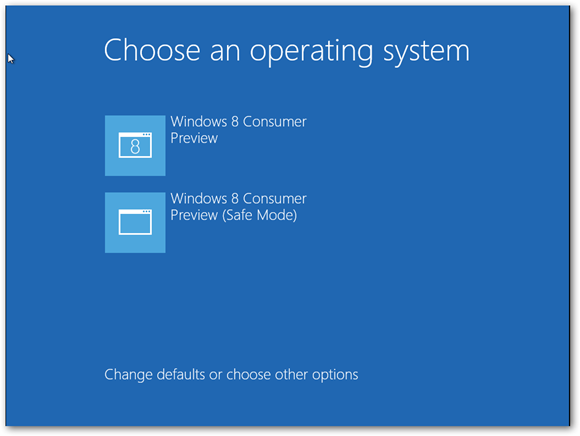 If you choose the third option “Choose Other Options” you will enter into the StartUp menu you would see if you didn’t have more than one operating systems installed. You are now presented with four different options. 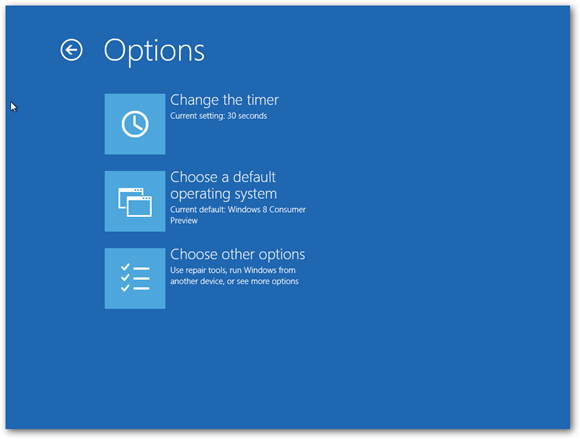 The first 3 options are self-explanatory, but what I’m going to have a look at here is the Troubleshooting Menu. 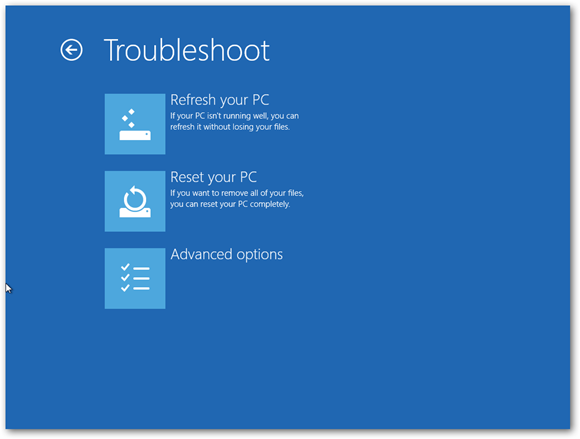 One of the first steps you should do when troubleshooting your PC is to perform a System Restore. Failing that you can choose to Refresh Your PC. This essentially will reset your computer’s settings back to default and remove programs that you installed to try and alleviate any issues. It will retain your data and files. If you are still experiencing issues with your PC or plan on selling it you can choose to Reset Your PC. This essentially wipes everything from your computer and restores it back to factory settings. 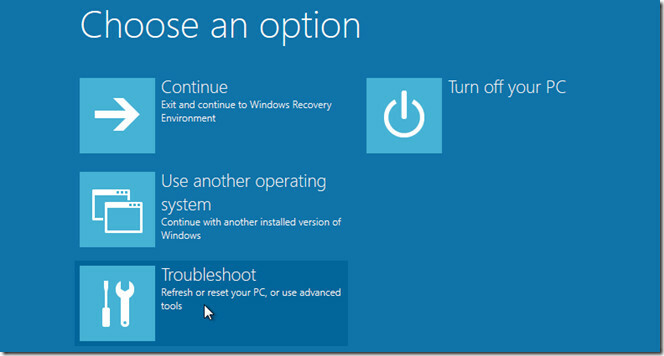 Both resetting and refreshing Windows 8 are covered extensively in this post. The advanced options will provide you with even more options to help recover your PC if you don’t want to reset or refresh it. 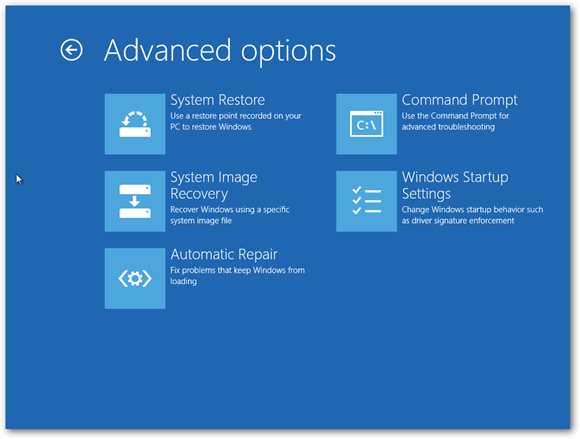 Once you select System Restore Windows 8 will reboot and enter the system restore wizard which will allow you to restore your computers settings and registry values back to a previous state. If you think that there’s only a minor issue with Windows 8 and don’t feel that a complete system reset or refresh is necessary, you can let Windows try and automatically fix itself. However, there is no guarantee that this will work but it’s worth a shot. Command Prompt is a very powerful tool that should really only be used by Windows professionals who know what they’re doing. 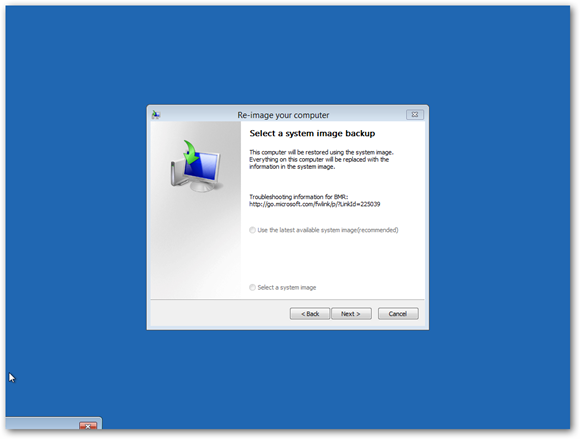 It allows you to edit, create, copy, and delete files in Windows 8 without using the UI. Again I’d like to stress that this should only be used by Windows professionals or those who know exactly what they’re doing. The Windows StartUp settings again are for more advanced users. It will allow you to boot Windows 8 with certain features disabled, debugging options activated or in Safe Mode. The new Windows 8 StartUp menu is certainly much easier to navigate and use thanks to the new graphical interface that Microsoft have added to it. There aren’t really many new features in it apart from allowing you to reset or refresh your PC, but it is still a powerful menu none the less.